The 2018 NCQMA Banquet will be held at Great Wolf Lodge in Concord, NC on January 19, 2019 at noon. Q: What time does it start? What’s the order of events? A: The banquet begins at noon. We will eat first and then begin the awards presentation around 1PM. Plan to arrive no later than 11:30AM to give yourself time to park and find a seat. The awards presentation usually takes 2-3 hours, so if your driver has younger siblings, you will probably want to bring some quiet activities to keep their attention. Q: What if we want to attend only the awards presentation and don’t plan to eat? A: You will still need to submit the banquet registration form so that we know how much seating we will need. Just fill it out for each guest and select the appropriate “not eating” option. Due to the fees for the banquet facility, the cost for those not eating is $10 per adult and $5 for non-drivers over age 3. Drivers and children under age 3 are free, but please be sure to select those options on the banquet form so that we can have enough seats. Plan to arrive around 1PM on the day of the banquet. 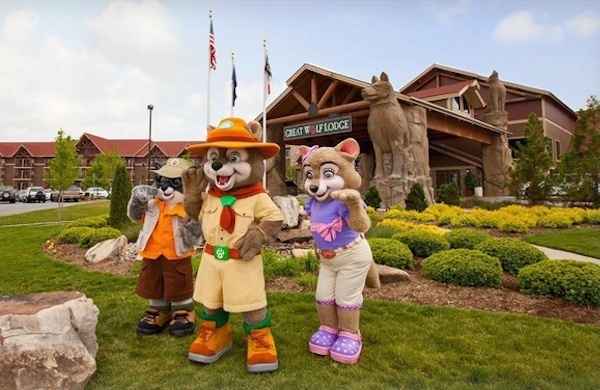 Q: Where do we go once we get to Great Wolf Lodge? A: The conference center entrance is to the far left of the main entrance (if you are standing in front of the main doors), all the way down at the end of the building. There is a direct entrance to the conference area, so if you are just coming in for the banquet, you can park in the lots there. A: The attire is is “dressy casual,” nice jeans and a collared shirt are fine for guys or feel free to dress up more, people do both. For the ladies, many do dresses or slacks with a nice shirt. Q: What do the drivers get at the banquet? A: Each driver will receive their Championship Series and Summer Series points trophies (if they met the minimum number of races to be eligible for a trophy), yearbook and a driver gift. Rookie drivers will receive a trophy if they raced in at least 3 events combined between the Summer Series and Championship Series. Drivers will also receive a plaque listing all their finishes for each series if they have raced at least 3 races during 2018. Please see the Trophies section of the Championship Series rules for complete information. Q: What night should we plan to stay at Great Wolf? A: Most families plan to spend Saturday night at Great Wolf Lodge if they want to stay. Some families will also stay both Friday and Saturday. It’s up to you and whatever works best for your family. The rooms are ready by 4PM on the day of check-in and you can use the waterpark after 1PM on your check-in day (just bring a small bag with your swim stuff and leave your larger luggage in the car) and until around 9PM on the day you check out. Q: Can we swim at Great Wolf if we aren’t spending the night? A: Yes! Angela Jones will have wristbands that give you access to the waterpark until around 9PM on Saturday. Be sure to list the number of wristbands you need in the banquet registration form below. The deadline to submit your banquet registration is Dec 10th at 10PM. Contact Angela Jones at 980-329-6085 or angela@jonesandsonsnc.com if you have any questions concerning the banquet.